We will constantly innovate Cell and Battery Pack Solutions while staying at the forefront of thought leadership for our OEM and Contract Manufacturing customers across the consumer, commercial/industrial, medical, military & government markets. We create an atmosphere of optimism, teamwork, creativity, and resourcefulness by dealing with everyone in an open and ethical manner. We will make K2 Energy the preferred Cell and Pack manufacturer in all our channels by delivering outstanding value, creating continuous innovation, and providing a customer service focused TEAM by consistently fulfilling our consumer expectations. Establish a WINNING Sales Culture that defines our DNA going forward! Joint development contract is signed with European Battery, OY leading to development and commercialization of K2’s polymer battery line. Nevada Technology Start-Up of the Year Award granted by the Technology Business Alliance of Nevada. K2 Energy is founded by Johnnie Stoker, Stewart Graham, Jim Hodge, Donn Nimmer, Gary Stoker, and Mark Stoker. Soon, K2 grew and moved into the Henderson incubator space. 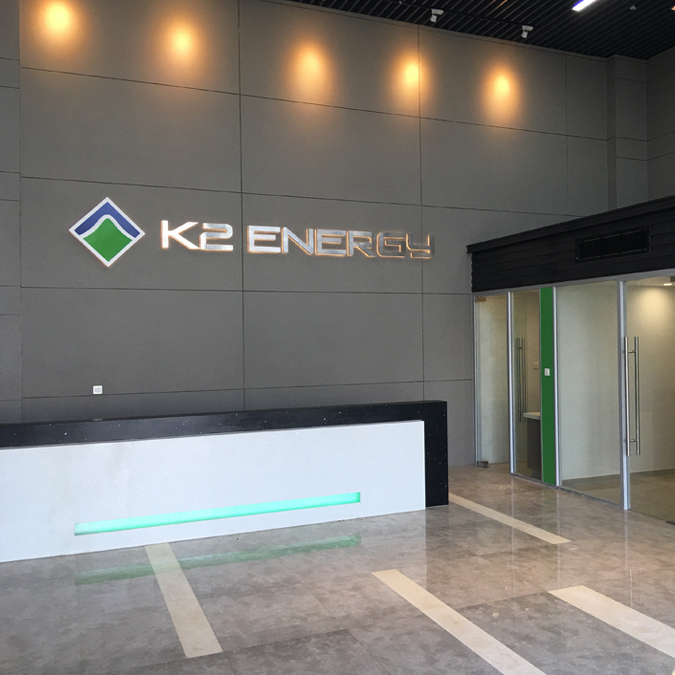 K2 completes first commercial build of K2 Lithium Ion 18650 and 26650 energy cells. K2 Energy completes development of and launches a commercial version of K2 Lithium Ion 26650 and 18650 power cells. 2007 Technology Start-Up of the Year Award granted by Henderson Economic Development Authority. Groundbreaking of new, large cell factory in Finland with European Battery. Awarded a Navy SBIR contract for development of a 500 kW onboard ship battery. K2 Energy Achieves Inc. Magazine's 500/5000 List for second year in a row. Qualifies for key Navy Battery Program. Launches new High Temperature (K2|HT™) energy cell. Qualifies for the Marine’s Green’s program. 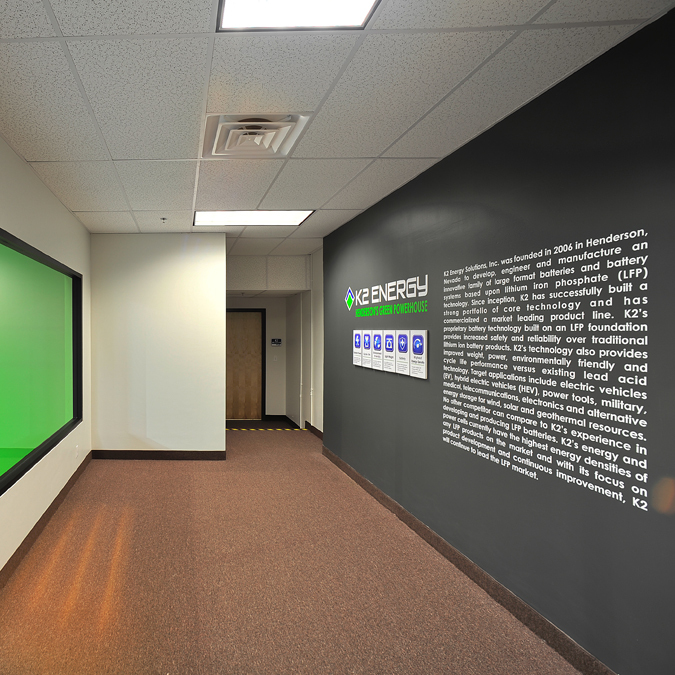 K2 energy expands to over 40 employees. Awarded supply contract for Fiat 500EV batteries produced by Alelion/EV Adapt of Sweden. Awarded a Technology Assessment Contract for Electric Vehicle Applications by the United States Advanced Battery Consortium LLC. Granted sole source procurement contract to develop and fabricate batteries for a directed energy weapons system by Naval Surface Weapons Center. K2 Energy expands to over 60 employees worldwide. Honored by Inc. Magazine as number 79 of America’s fastest growing private companies. K2 receives Nevada Green Company of the Year Award from Technology Business Alliance of Nevada. First shipment of U.S. Navy Electromagnetic Rail Gun. Receives Small Business Innovation Research (SBIR) award from U.S. Navy. Receives Small Business Innovation Research (SBIR) award from Defense Logistics Agency. K2 Energy is awarded contract for first full-scale prototype for Navy Battery Program. 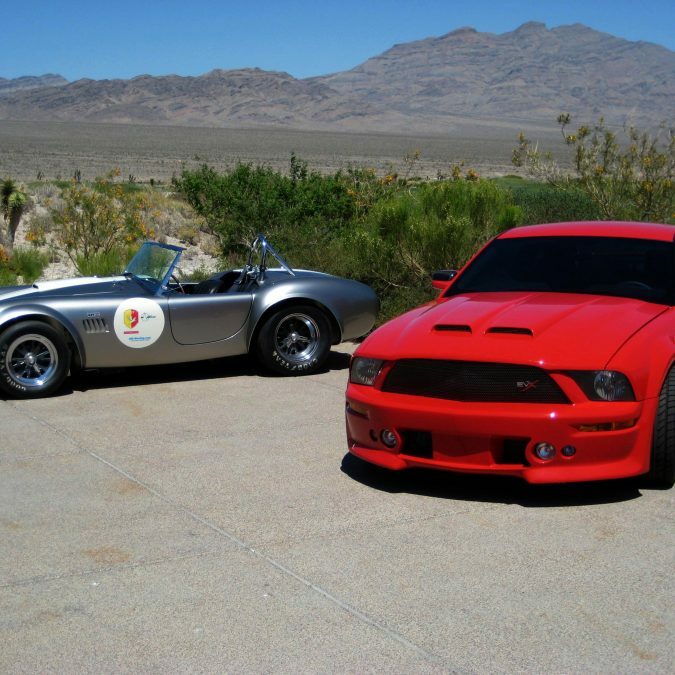 Grand Opening of new Henderson, Nevada headquarters. Awarded $81 million dollar contract for U.S. Navy Electromagnetic Rail Gun. Blue Origin’s historical rocket landing – powered by K2 batteries. K2 Energy Launches Boating Battery Line. K2 Energy celebrates 10 year anniversary. K2 Awarded military Mobile Electric Hybrid Power Sources (MEHEPS) program. Expansion of K2 Energy Research & Development and domestic cell production facility. Navy Surface Warfare Center Contract for Enhanced Cell Designs for Improved Internal Heat Transfer. High Rate and Power Capable, Large Format Batteries.